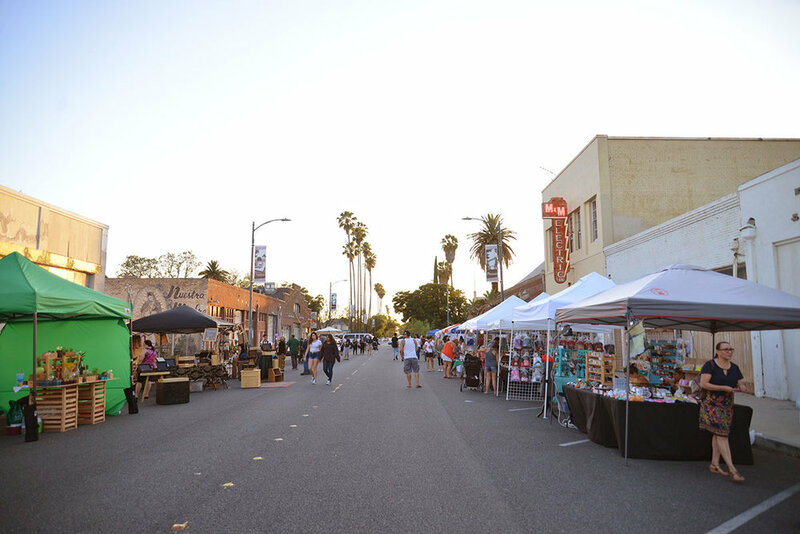 Located in the Pomona Arts Colony, every month on the 2nd Saturday the Art Walk brings big crowds to the streets. Over a dozen galleries host artist receptions for their latest exhibits. Many shops, studios and restaurants open late. There is no better way to get a feel for the lively community that hundreds of artists have built here. Experience the diverse array of top quality art work, ceramics, fiber, jewelry, mixed media, painting, photography and more. It’s FREE. Bring your friends and family! During each 2nd Saturday Artwalk we also have a market in Shaun Diamond Plaza at W. 2nd St and Thomas St. featuring music, artisan crafts, jewelry, candles, clothing, food vendors and more. If you would like to be a part of our market please fill out the application below.